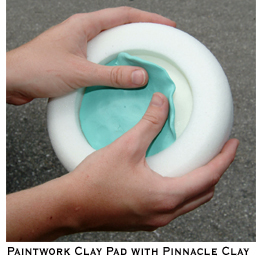 Pinnacle’s Ultra Poly Clay is the single finest clay composition available today. A total retail value of $51.96, you SAVE $13.97! Pinnacle Ultra Poly Clay PLUS SpecialPinnacle Ultra Poly Clay – Buy it by the Pound! Used the clay on my car and could not believe the results. Now every time I walk past the car I am compelled to run my hand down the body because it feels so smooth! works well and makes claying a vehicle go faster BUT as a kit it did not come with a sprayer only a capped bottle which i had to pour into another bottle with a sprayer which is why the 4 star. 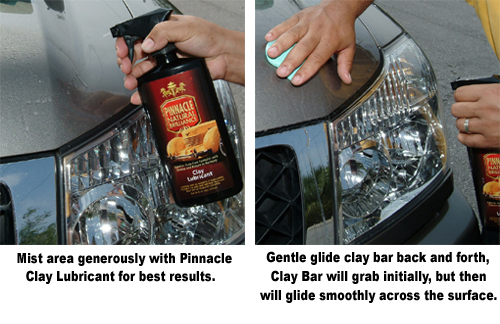 I have exclusively used Pinnacle products on my all black 2004 Corvette for many years. I especially like the "Fine" grade Ultra Poly clay because it's gentle on my Vette which really doesn't require claying more then once a year, if that. 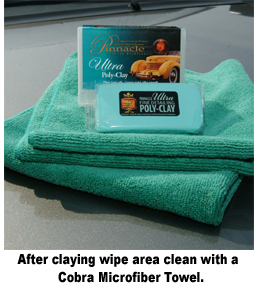 Used as one of the steps in my detailing process the Ultra Poly clay leaves the paint surface as slick as wet ice. Suffice to say my 14 year old Corvette has won many trophies and more then one professional detailer has inquired about my detailing technique. I always say the same thing; "It all begins with a well prepared surface" and translates to the Pinnacle line of excellent products. ProsBest stuff I have ever used on a treasured vehicle. ConsNO CONS whatsoever. Read and follow all directions and you'll never go wrong.